Broken trust and broken promises have a way of chipping at the core of a persons being that trust is diminished. I was thinking about the various instances where the people I trusted broke my faith in them. Anger filled me like a raging tornado. It’s one thing to know the principle of forgiveness but to operate when the time calls for it is the time when we are truly tested. So you lied to me…doesn’t mean that I’ll trust you so easily again. When people break that level of confidence we have in another, it is difficult to regain it at the same level as it were. Once it is broken it is broken. Count the cost before you lie to someone or do something that compromises the confidence they have in you. I always keep saying to people I encounter “count the cost” but it seems that it runs through one ear and out the other. COUNT THE COST of your actions. You will notice that in many of my posts I emphasize on character building traits. This isn’t going to be a lecture on how to be a good person. I’m talking about learning to change for the better good for yourself and others. Those that have lost my trust try harder to convince me to regain it but don’t understand that to earn back a person’s confidence and trust that you have broken, you have to PROVE beyond a reasonable doubt that you are actively seeking to change your ways. This is where we need to exercise prudence and discernment. TRUST IS EARNED. It’s unfortunate, but people have to work even harder if they want to regain the confidence they had established in the relationship that they broke. I always say to my friends that you should “take your time to trust people” but even when you do, there are people that you may encounter in life that know how to deceive you masterfully. When the truth is revealed, the shock is so immense that it can cause one to implode from the inside. I encountered something like that recently and have been in shock for a while so I know what I’m talking about. Even though I have forgiven the person not out of my own strength but by seeking God in the matter, my confidence in the person has changed in that I can no longer trust them despite the forgiveness. It is true that “Love is Blind”. Just because you forgive doesn’t mean you can trust so easily again. That I think is foolishness. Trust is earned…if the offender wants to regain trust they’ll have to work hard to convince me and that is what happens to us when we are betrayed. 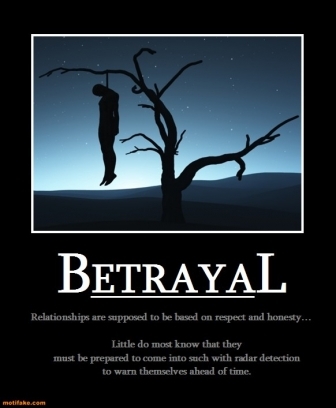 Betrayal is a terrible thing to experience but it has been a learning experience for me. I also take things into perspective and consider that it is good that I learned the TRUE CHARACTER of the person now so that I no longer continue to be deceived by them. Things could have escalated and turned out much worse if I was not revealed sooner rather than later. A person once said to me “Be careful how you burn your bridges”. I agree with this statement. If you value a relationship, then treat it like how you would value Silver or Gold. If you seek a relationship of value, then you must understand that it is built through trust and if you break it, you have compromised the value of the relationship. People can be fickle, but this fickle-mindedness doesn’t understand the value of trust because it seeks self-gratification and is also another characteristic of PRIDE. Why value trust when it can be so easily broken? 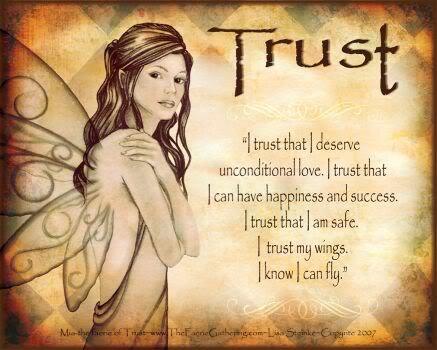 Trust is needed in order to have a relationship to begin with. If you can’t be trusted with little, you can’t be trusted with much. 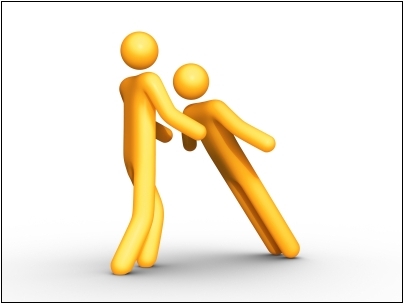 We as humans are relational beings and TRUST is required in order to maintain relationships. Even though I have experienced some disappointing characters in my walk, I must say that there are great people out there that have been my support. It hurts when you lose confidence in a relationship where trust is broken because you begin to contemplate whether or not the whole relationship was a farce? Eventually, I must come to terms with all of this and decide to move on. This doesn’t mean I deny the pain, but I choose not to remain wounded by all of this forever. There is no point in doing that. I have had several bad experiences with certain people I trusted but I think that even when we are hurt, it shouldn’t change you so dramatically that you become too weary and distant towards people in general. When you start to do that, you’ll develop a sense of defensiveness that comes from being broken-hearted. It isn’t healthy to stay that way for too long so forgiveness is needed to release that bitterness from that betrayal. Can I move on after the betrayal? Yes, you can. You don’t have to stay there. If you become distrustful over every person that you encounter after the bad experience, you will lose chances of connecting with people that are there to help build you. Don’t let one bad experience rob you from gaining a better relationship with another. My Last Note: In the end, when trust is broken, you should keep in mind that it is not so much that you learn about the other person, but you must learn about yourself. 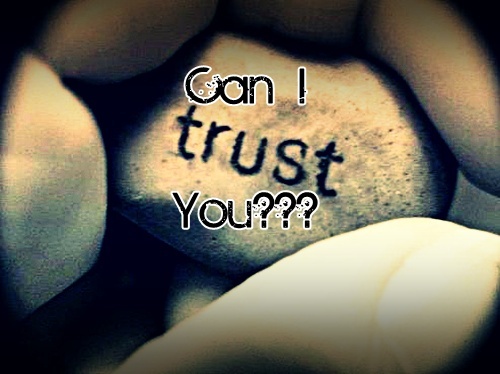 Are you too trusting? Were there signs in the initial stages that should have been warning signs not to pursue this relationship? How deceitful was the individual? Has it changed you for the better or for the worse? Did you forgive and let go? Have you sharpened your discernment? Don’t lose faith in people just because of a few bad apples. Instead, learn from these experiences and Thank God for revealing the truth from the lies despite the pain accompanied by the betrayal. The truth helps you to walk a wiser person. Learn from it and move on with appreciation. I really like this. I will definitely re-read again because this type of wisdom must be meditated on more than once. Peace and Blessings Queen. “Count the cost”, i i liked that, really did. Wisdom does not exist in one who cannot count the cost. Rarely do people stop to consider what their actions will mean just a few seconds down the line. But what is the world without great minds that share such and help people understand that you don’t always need to act like a fool, there is always another way! This is a total lecture on “Trust” and i almost feel it is pointless trying to add a little more because you couldn’t have said it better. If only people would step back and think for a little while the effect a betrayal would have on a loved one. They would never take that step. A betrayal from a loved one leaves you at a point of confusion where you asks yourself so many questions and get so little answers. Its a road i would rather not travel but been alive makes one realize that you can not be immune to such so i guess its all part of what living life entails. May God grant us the fortitude to bear a betrayal and the grace to forgive a wrong. Amen! Thanks for your comment. Even if you don’t believe in God right now, just know that God already believes in you. I’m glad that this post blessed you. May you continue to visit dear friend. Thank you! I wannt to belive, and I do,I think but I got doubts in my mind. I had a really relios Family in my lifes that was very relgios, they was open do bad behovir when I was I kid, but as I adult, they make judgment on me have I behaved as kid. BUt I have always been jealous in theyre trust in Good. Those this make any sense? Thanks Irene for visiting my blog. I’m glad that this post blessed. you. Wow! This tallllllked to me! Although I’d hate to admit it but I used to trust so easily and I guess everyone I trusted hurt me all at the same time and I lacked it for years. I can’t say that I fully trust anyone. Maybe one person. That picture of one falling backwards and the other person catching them. No. I couldn’t do that. Everyone is a jokester so why would they seriously catch me? It becomes a mind battle which I seriously have to seek much prayer for. I recently read the other day that we feel God had failed us when He doesn’t answer a prayer when we want it to be answered so we just stop praying about it. I can say I haven’t said it out right nor have I blamed God out right but I guess when I stop praying for something I’m doing it anyway. What a revelation. I must continue to pray on trust yet find peace in Psalms 138:8 “the Lord is perfecting that which concerns me” I talk about this scripture all the time but it really speaks to me and I find peace in it. I pray that you are able to move on from hurt and avoid being like me many years later. Breaking trust is no joke and people view it as if its not important when its probably as important. We have faith in God and then there is trust in humans. It’s almost as powerful. Thanks for this!!!!!!! Thanks Nadie for your lovely comments. I always enjoy other people’s input. You know the last picture about someone catching someone is actually from an actual game called “Trust” where you stand by whoever and you the person falling call out the word “trust” and see if the person catches you or not. The Person from behind either chooses they will or wont catch you but if they choose not to you’ll find your behind on the floor. Usually it’s done on a soft matted area to avoid injury but it really is a reflection of real life relationships. You’ll know when you’ve truly forgiven someone when you see them again and harbor no ill will or ill feelings towards them. When I wrote this I was really angry and emotional because I was suffering from the intense shock of it all but, by seeking God with many tears mind you, I know I’ve forgiven the person because now when I see them, I find that I’m able to smile at them without feeling hurt anymore. Don’t get me wrong, I don’t trust them or anything, but I won’t allow them to control my emotions with hatred, bitterness, anger, the whole nine. Letting go frees your spirit and helps you become wise as well. True strength comes from forgiveness. Weakness comes from festering bitter wounds so seek Gods face to let go of the pain. Stay Blessed my sista. 😀 Thanks for sharing it. I believe many need this message to heal from the past betrayals. Trust is so very important. Thanks. Off topic, but just wanted to thank you for all your visits and likes. I love your site! thanks for visiting mine 😀 Stay blessed. This is brilliantly written, raw and honest! Some friends even betray your trust without realisong you’ve noticed. These are the more crafty types. As I pray for them, because that’s what God asks of us, I’m reminded of Proverbs 3:23 where it says ‘Guard your heart’ Friendship and trust involves discernment. Thank you for this wise post! May we have the heart to forgive those that hurt us and the wisdom to discern those that aren’t out there for our best interests at heart. Thank you for your thoughtful comments and scripture. In the end, the one thing we should learn is how we handle betrayal. We cannot afford to become bitter when God expects us to forgive. Very well written, been there and done that to many times. I hope that healing comes to your heart through our great God. Thanks Greg for your well wishes. Oh, Healing has already come, it took 4 months but it came. It’s amazing what God can do with a broken heart when you choose to hand him all the pieces. I’m now glad that after I wrote that post, it has begun to heal others too. I feel like I am a very slow learner about all of the hurts and betrayals I have experienced with family and friends, but , now i see that healing the present is about healing Our souls history Which, in many peoples cases, though certainly not all, is connected to past lifetimes with other souls… many of us are given the chance to heal wounds of persecution and heal within all that may have torment or prevented us from rising up from within to live more in line with god, living with grace and acceptace and humility evensong that we may kill off our stubborn egoic traits …..why has god forsaken me? Well he hasn’t , I also abandoned my belief ibeing connected to the highest laws of heaven and earth…. We are all in it to see and learn and have our souls bow before what is higher than our little selves…and the power i have given over by not believing has cost me….in many situations or events or people ….but ultimately i realize i am responsible and the way i see it now is that i get to clear and clean out many karmic soul connections. I have to start over and have much self love and forgiveness towards self and others. Even if I don’t connect again personally with some people My soul and my heart believe in love, love , love I want the best for all. Our human fragility and our willingness to go on is what it is all about…..so we can see the true face of god and the communion of Real friendship is everlasting………Lisa. I like how you said : “Even if I don’t connect again personally with some people My soul and my heart believe in love, love , love I want the best for all.”. Don’t give up on love just because of one or more experiences of betrayal. I’m glad the Jesus didn’t stop loving us even though He too was betrayed by his closest friend, Judas Ischariot. Love should reign in our hearts which doesn’t mean that we deny the pain, but we can move on past it once we have recovered from the shock of it all. We can heal when we choose to forgive and release ourselves from what happened against us. We can choose to no longer remain bitter and angry. That’s how we experience true healing…it is when we decide that freedom from such negative emotions is imparative to maintaining a healthy loving and pure soul. I’m so sorry that you and your friend had to go through a betrayal from one of your friends. May you all be healed from the pain of it all. Thanks for sharing the post via facebook. May each one of you learn from the experience and may you both be blessed with better connections in the future. Sometimes the only way to move on is to cut off that which causes you the most pain if nothing can be reconciled with the offender. May the offender learn from their mistakes about what it means to burn bridges, especially when they are your close friends. God bless you Deborah and your friend.